Utah’s young Olympic phenom also grew up on the stage. (Chris Detrick | The Salt Lake Tribune) Figure skating athlete Nathan Chen poses for a portrait during the Team USA Media Summit at the Grand Summit Hotel in Canyons Village Monday, September 25, 2017. (Chris Detrick | The Salt Lake Tribune) Figure skating athlete Nathan Chen poses for a portrait during the Team USA Media Summit at the Grand Summit Hotel in Canyons Village Monday, September 25, 2017. 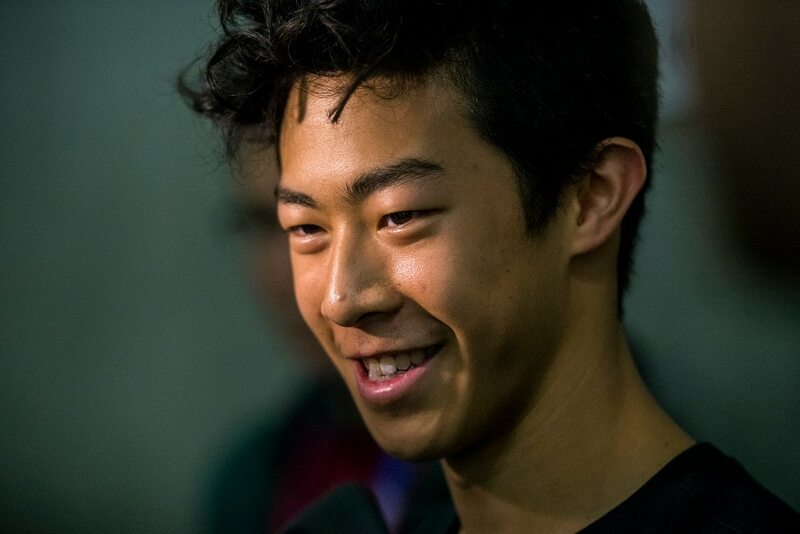 (Chris Detrick | The Salt Lake Tribune) Nathan Chen gives an interview after winning the Men's Free Skate during the U.S. International Figure Skating Classic at the Salt Lake City Sports Complex Friday, September 15, 2017. (Chris Detrick | The Salt Lake Tribune) Nathan Chen poses for photos after winning the Men's Free Skate during the U.S. International Figure Skating Classic at the Salt Lake City Sports Complex Friday, September 15, 2017. (Chris Detrick | The Salt Lake Tribune) Figure skating athlete Nathan Chen speaks during the Team USA Media Summit at the Grand Summit Hotel in Canyons Village Monday, September 25, 2017. (Chris Detrick | The Salt Lake Tribune) Nathan Chen poses for photos after winning the Men's Free Skate during the U.S. International Figure Skating Classic at the Salt Lake City Sports Complex Friday, September 15, 2017. (Chris Detrick | The Salt Lake Tribune) Nathan Chen competes in the Men's Free Skate during the U.S. International Figure Skating Classic at the Salt Lake City Sports Complex Friday, September 15, 2017. (Chris Detrick | The Salt Lake Tribune) Nathan Chen competes in the Men's Free Skate during the U.S. International Figure Skating Classic at the Salt Lake City Sports Complex Friday, September 15, 2017. (Chris Detrick | The Salt Lake Tribune) Nathan Chen competes in the Men's Free Skate during the U.S. International Figure Skating Classic at the Salt Lake City Sports Complex Friday, September 15, 2017. (Chris Detrick | The Salt Lake Tribune) Figure skating athlete Nathan Chen speaks during the Team USA Media Summit at the Grand Summit Hotel in Canyons Village Monday, September 25, 2017. (Chris Detrick | The Salt Lake Tribune) Nathan Chen competes in the Men's Free Skate during the U.S. International Figure Skating Classic at the Salt Lake City Sports Complex Friday, September 15, 2017. (Chris Detrick | The Salt Lake Tribune) Nathan Chen competes in the Men's Free Skate during the U.S. International Figure Skating Classic at the Salt Lake City Sports Complex Friday, September 15, 2017. (Chris Detrick | The Salt Lake Tribune) Nathan Chen competes in the Men's Free Skate during the U.S. International Figure Skating Classic at the Salt Lake City Sports Complex Friday, September 15, 2017. (Chris Detrick | The Salt Lake Tribune) Nathan Chen competes in the Men's Free Skate during the U.S. International Figure Skating Classic at the Salt Lake City Sports Complex Friday, September 15, 2017. (photo courtesy Chen family) A young Nathan Chen shown here with skating coach Karel Kovar. (photo courtesy Alice Chen) The Chen siblings shown here as children. In order from left to right: Janice, Tony, Colin, Nathan, Alice. (photo courtesy Stephanee Grosscup) Former director of skating at the Salt Lake City Sports Complex Stephanee Grosscup with a young Nathan Chen. 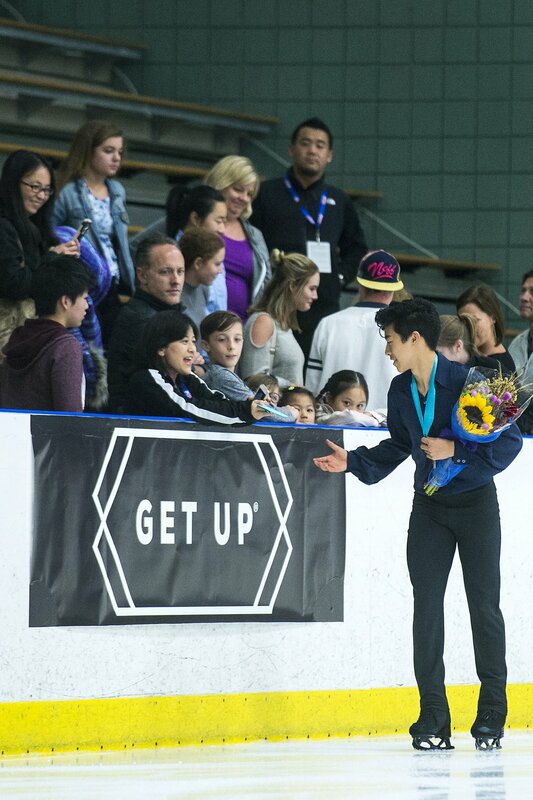 (photo courtesy Alice Chen) A young Nathan Chen, seen here at the Salt Lake City Sports Complex, skates with his sister, Alice, and older brother Colin. (photo courtesy Alice Chen) Nathan Chen with his older sisters, Janice, left, and Alice, right. (photo courtesy Stephanee Grosscup) Former director of skating at the Salt Lake City Sports Complex Stephanee Grosscup with a young Nathan Chen. (photo courtesy Stephanee Grosscup) Former director of skating at the Salt Lake City Sports Complex Stephanee Grosscup with a young Nathan Chen. When those previously not in the know suddenly are, it’s not questions from aspirational figure skaters that immediately follow for Cati Snarr. It’s requests. A bombardment of requests. That’s what happens when you spent several years teaching one of America’s next figure skating superstars. Snarr instructed Nathan Chen in ballet, and considering that the 18-year-old has captivated the Olympic realm so swiftly and confidently — like one of his many quad jumps on the ice — figure skaters gravitate to her hoping for a similar trajectory. It’s a description that also appropriately encapsulates Chen, one of her former pupils. Born and raised in Salt Lake City, he now is the two-time defending U.S. national champion who as a 10-year-old novice skater once publicly proposed that these 2018 Olympic Winter Games would be where he’d eventually make his debut. But between his advancement on the ice, gymnastics and hockey, an unmissable part of Chen’s rise in the sport that remains a chief draw at a Winter Games was his six years at Salt Lake City’s prestigious Ballet West Academy. Snarr recalls what many still hold onto as their first impression of Chen: a shy, undersized, highly motivated youngster with an uncanny ability to fixate on assessing the minor mistakes made in classes or performances and making corrections. And like skating, he always could launch himself off the floor and spin. From Day 1. It was one of the first steps to becoming the “Quad King” as he’s being marketed heading into these Olympic Games. “He had such mastery of his body,” said Peter Christie, Ballet West’s former academy director who is now the education and outreach director. Hetty Wang dropped off her son after school five days a week at Ballet West’s studios in downtown Salt Lake City. This was after Chen arose in the wee hours every morning to hit the ice at 5 or 6 a.m. so he could practice and train on his own. Chen and other academy students went through 90-minute sessions. Snarr and Christie realized from the outset that Chen was exceptional. For all his physical tools and attention to detail, Chen needed to be taught how to command a stage. His teachers say embracing different roles in various productions helped. The young extrovert had to shift out of his own mentality and become Fritz, a mischievous character in “The Nutcracker.” While he tried to perfect his moves, Christie said they worked on projecting characteristics out of Chen, which has gone a long way in expanding his gravitas on the ice. Instead of owning the character in front of his teachers or those in the first few rows of the theater, they told him he must perform for the person farthest from the stage. It took some time, but now, when Snarr and Christie tune in to one of Chen’s programs on the ice, they notice how he glances to the top of whatever stadium or building he’s competing in. Showmanship, it turns out, was one of the last pieces to his mastery as a prodigal talent. The late Mark Goldweber, who served as ballet master at Ballet West, once requested Chen perform a tour — slang for a 360-degree spin in ballet. When Chen came down in perfect form, Goldweber asked if he could do two in a row as flawlessly. Up Chen went on back-to-back spins. 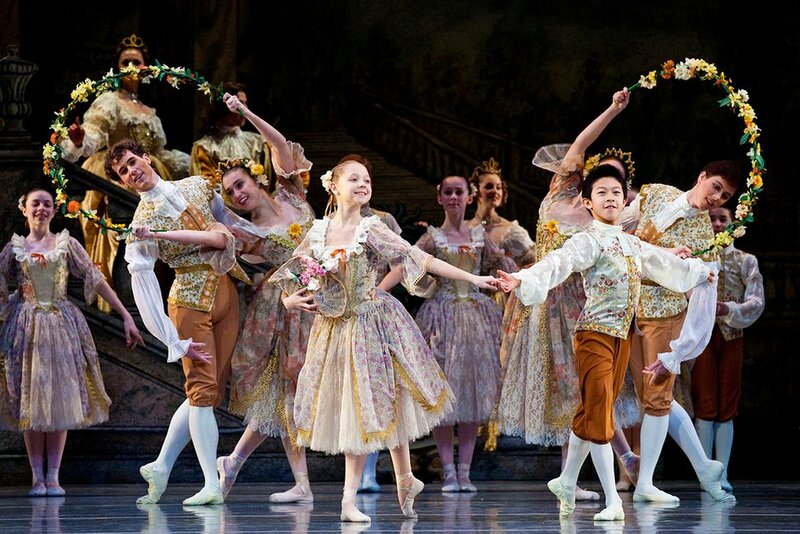 Photo courtesy Ballet West/Luke Isley: Nathan Chen (right) in his role during a 2011 production of "Sleeping Beauty." Goldweber eventually created a character and performance variation in “The Sleeping Beauty” just for Chen, which allowed him to show off his distinct abilities in the air. No ballet dancer at the academy had developed so quickly such prowess for spinning like Chen, who started at Ballet West at age 7. “Not to the clarity that he had,” Snarr said. Chen performed about one or two full-time roles each year during his time at Ballet West. 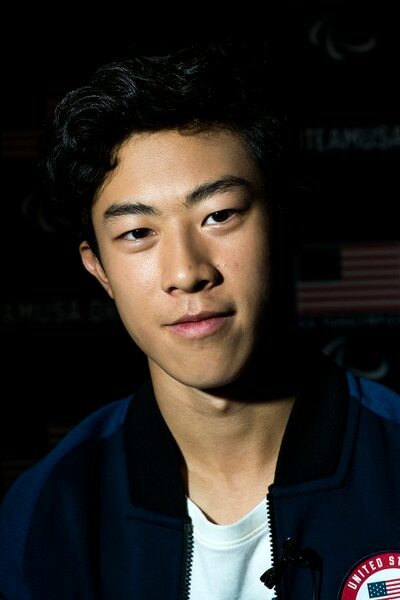 In all, he had five roles before the Chens left Salt Lake City and relocated to Southern California when he was 12 so he could train more closely with his figure skating coaches. Still, male company dancers who remember Chen as a young academy dancer have told Christie and others that if he ever wanted to, he could return to ballet and pick it up without missing a beat. (Chris Detrick | The Salt Lake Tribune) Nathan Chen greets members of the crowd after winning the Men's Free Skate during the U.S. International Figure Skating Classic at the Salt Lake City Sports Complex Friday, Sept. 15, 2017. Chen, of course, later won the 2017 International Figure Skating Classic last fall in runaway fashion on the ice that he learned to skate on at the Salt Lake City Sports Complex. Snarr was there in the crowd. Afterward, Chen weaved through what she described as “a sea” of female teenage superfans to embrace his former teacher. When Chen snagged Bridgestone tires as one of his primary sponsors, she saw him advertised front-and-center at a local tire store, took a photo and sent it to him. “Look at you!” it read. It was a personal cap to a story they’d seen coming firsthand for the better part of a decade. Snarr and Christie also helped choreograph portions of the Opening and Closing Ceremonies at the 2002 Olympic Winter Games in Salt Lake City. Ballet might be their forte, but being involved in the Games in Utah 16 years ago got them hooked. Now they do their best to manage their nerves watching Chen. Snarr holds her breath when he picks off the ice to execute one of his history-making quad jumps. No skater ever has done more high-risk spins in a program than Chen, which he’ll do once more at these Games with gold in mind. So when he takes off, she sees the young boy who listened to Goldweber’s request, to his nights as young Fritz, to the special program installed for his ability to spin onstage, all of which helped him master the litany of quads and own the spotlight. She also screams corrections through the TV. 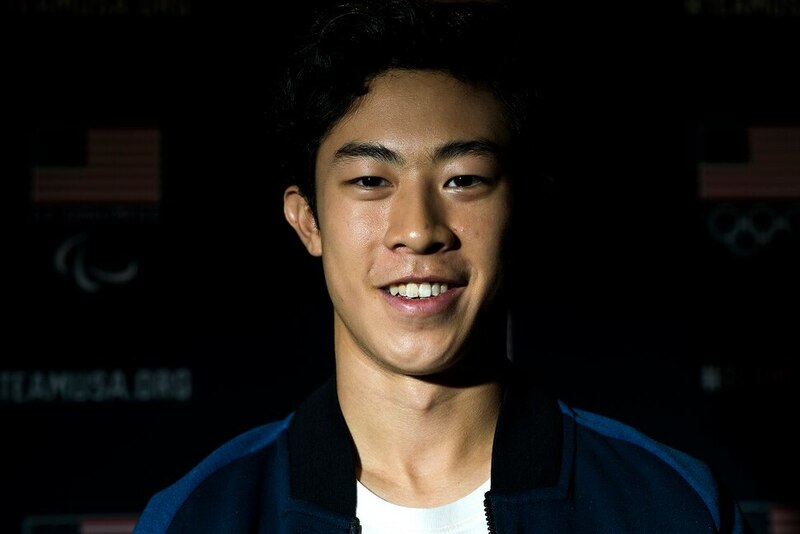 So many mentors in various sports or arts have helped Chen get to this point, each instilling a dash of versatility that has made him America’s next great star skater. In a conference room inside the Capitol Theatre, Snarr and Christie can’t help but feel the weight of the moment for Chen’s first skate at the Gangneung Ice Arena in South Korea. “This is really happening,” Christie said, shaking his head.